SLC + 12. Saltair. 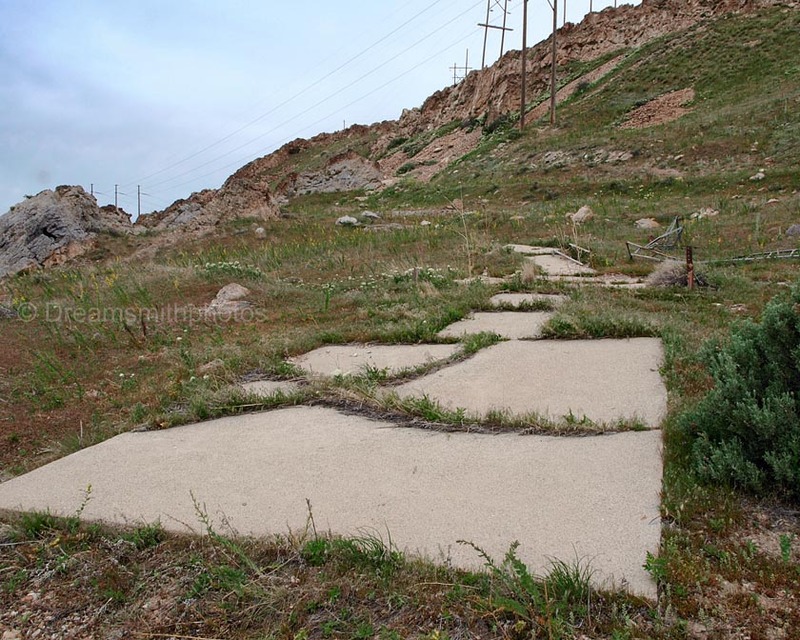 — Near the salt works there is an open field which is possible for an emergency landing. 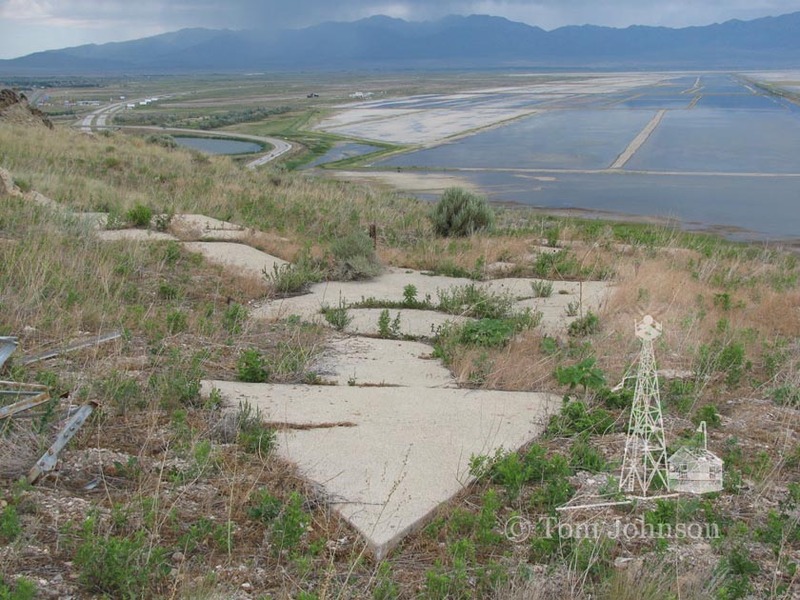 The field lies between the highway and the electric railroad that runs into Salt Lake City. 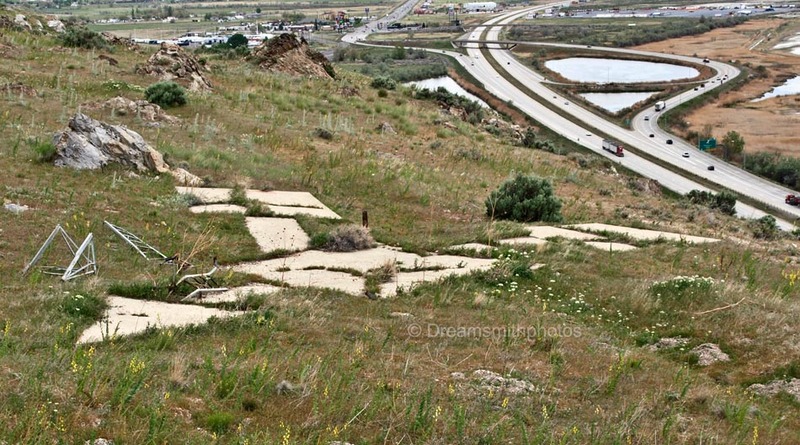 Is rolling and covered sparsely with sagebrush and should be used only in case of absolute emergency. SLC + 224. Carlin, Nev. — Between the Western Pacific and the Southern Pacific Railroad tracks, 1 mile south of the course. 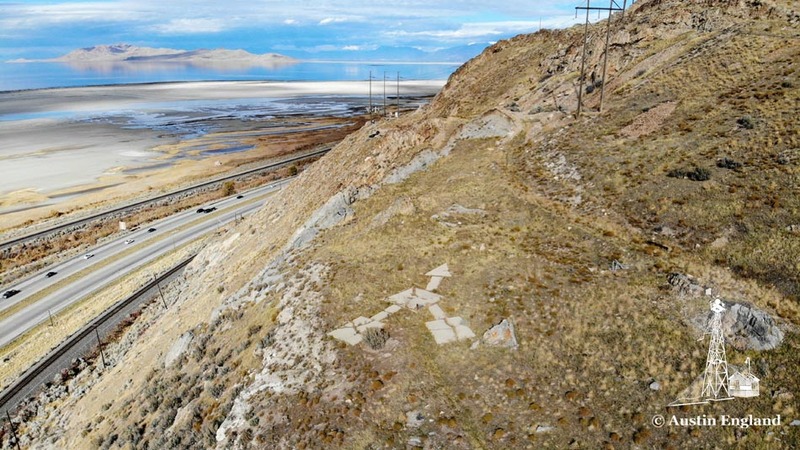 The Lake Point Arrow is located high on the side of a ridge almost directly over I-80, along the south shore of the Great Salt Lake. It was a 30 minute hike for me from where we parked our car to the arrow. The first part of the hike was a steep climb up the side of the ridge. The rest of it was along an old abandoned road. The arrow is located in a ‘small bowl’ near the top of the ridge. Although I was walking downhill to the arrow at this point, I could not see it until I was almost upon it due to the terrain. 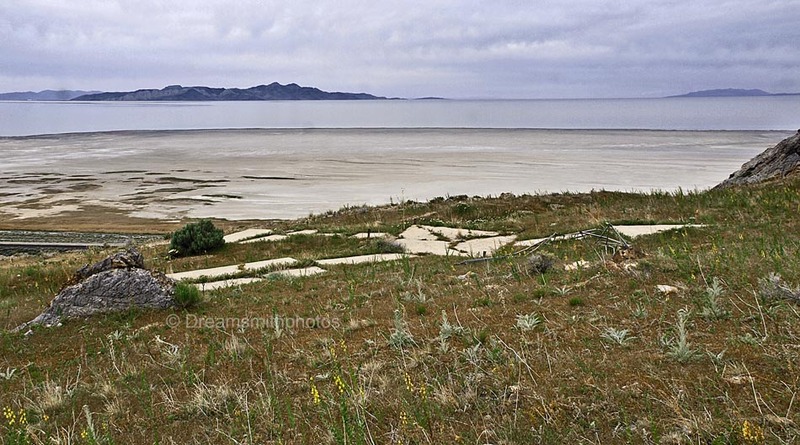 The view of the Great Salt Lake from the arrow was very beautiful. The Lake stretches north out to the horizon itself. In the far distance I could make out mountain ranges. This is a unique arrow due to it having two arrow tails and one arrow point. The arrow is complete, but it has major cracks though out. 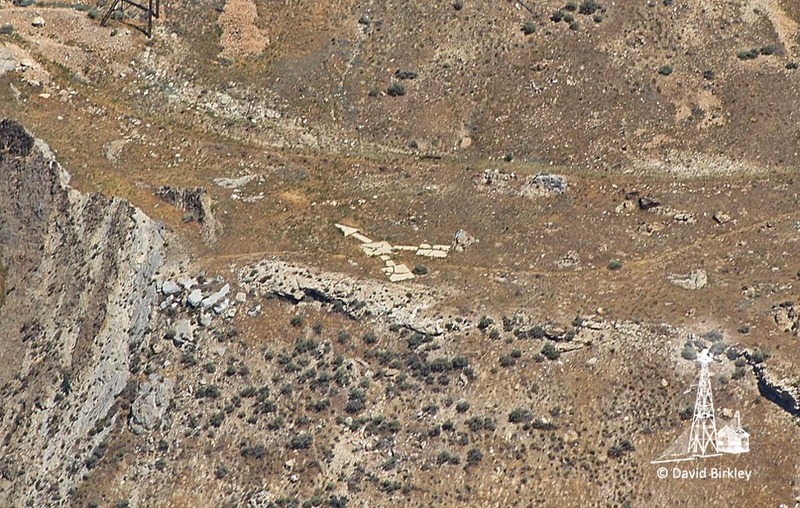 Scattered around the arrow are remnants of the old beacon and its ladder. 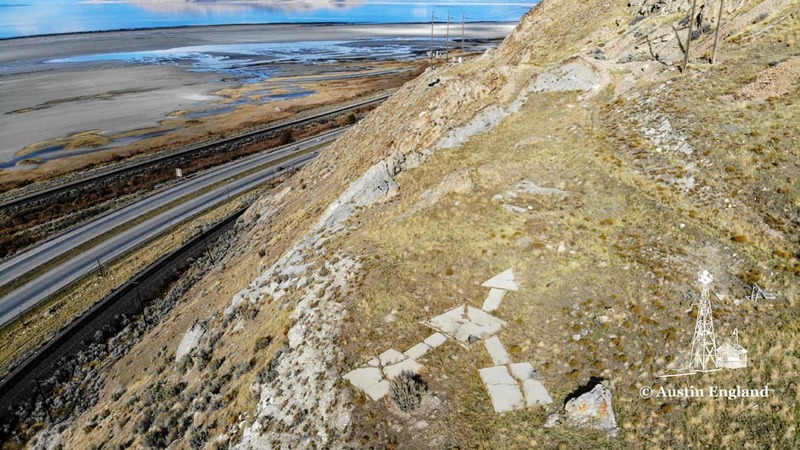 The left tail of the arrow is just about 10 feet from a steep cliff that drops down onto I-80. The arrow is 62 feet in length. The pilot would approach the right tail of the arrow on a compass heading of 18° (N-NE), and then exit the arrow on a compass heading of 44° (NE). The pilot would approach the left tail of the arrow on a compass heading of 102° (SE), and then exit the arrow on a compass heading of 44° (NE).